@88 magnetic adapter is designed to work with android Micro USB cable. Fit converter into Micro USB port to help protect from dust and lint. 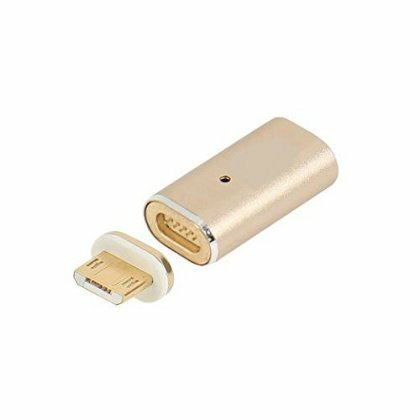 The adapter is as small as a thin sugar cube, so it is easy to put in a purse or pocket, the design of converter is so small, elegant and well integrated that you may start to think it's actually part of Cellphone. Magnetic design enables easy alignment and automatic connection. Magnetic adapter and converter seamlessly attach once they are in close proximity.